[issue 170] What's up with Google Public DNS? [issue 97] Recent Events, and Trademark Actions by SSC, Inc.
Rick has run freely-redistributable Unixen since 1992, having been roped in by first 386BSD, then Linux. Having found that either one sucked less, he blew away his last non-Unix box (OS/2 Warp) in 1996. He specialises in clue acquisition and delivery (documentation & training), system administration, security, WAN/LAN design and administration, and support. 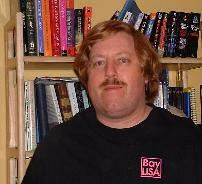 He helped plan the LINC Expo (which evolved into the first LinuxWorld Conference and Expo, in San Jose), Windows Refund Day, and several other rabble-rousing Linux community events in the San Francisco Bay Area. He's written and edited for IDG/LinuxWorld, SSC, and the USENIX Association; and spoken at LinuxWorld Conference and Expo and numerous user groups. His first computer was his dad's slide rule, followed by visitor access to a card-walloping IBM mainframe at Stanford (1969). A glutton for punishment, he then moved on (during high school, 1970s) to early HP timeshared systems, People's Computer Company's PDP8s, and various of those they'll-never-fly-Orville microcomputers at the storied Homebrew Computer Club -- then more Big Blue computing horrors at college alleviated by bits of primeval BSD during UC Berkeley summer sessions, and so on. He's thus better qualified than most, to know just how much better off we are now. When not playing Silicon Valley dot-com roulette, he enjoys long-distance bicycling, helping run science fiction conventions, and concentrating on becoming an uncarved block.